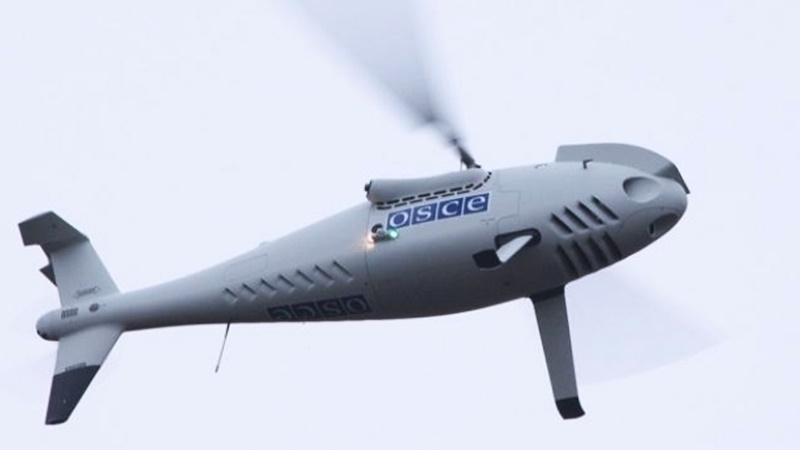 According the OSCE report, November 27, militants of the “LPR” terrorist group fired on the unmanned aerial vehicle of the OSCE in the village of Dovhe. “On the morning of 27 November, positioned 3.5km south-east of “LPR”-controlled Dovhe (22km north-west of Luhansk), the SMM heard at least 100 shots of small-arms fire 500m west of its position – in the area where the SMM was flying a mini unmanned aerial vehicle (UAV),” says the message. The report noted that the shots were aimed at the UAV, which successfully landed. The OSCE SMM addressed the Joint Center on Control and Coordination to investigate what had happened. The SMM informed JCCC of the planned UAV flight in the area. Earlier, "Ukroboronprom" state defense concern published a test video of "Horlytsa”, the new tactical unmanned aerial vehicle. The UAV can conduct reconnaissance, ensure the coordination of fire, as well as fire damage to the enemy, using air-to-surface missiles.